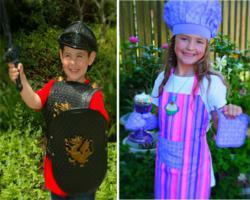 FancyPantsParties.com is an innovative website that offers pre-planned dress-up party boxes for kids that ship directly to parents. Childhood memories in every box! Countless hours of shopping and planning for their daughter’s third birthday party led this young couple - FancyPantsParties.com founders, Brandon and McKenzie Diegle - to the creation of a one-stop-shopping website featuring low-cost, high-quality themed children’s birthday party packages. Visit http://www.FancyPantsParties.com today and make party planning easy. FancyPantsParties.com donates 5% of all proceeds to child-related charities.